DO NOT BE LULLED BY INSTITUTION-SPEAK. After last Friday’s meeting (see our previous video comments on the meeting), two bishops sent out this letter. They wrote, “It was a time of deep listening, engaging the question of how our denomination could live together in less harmful ways. Times of prayer and reflection shaped the conversation, as participants attempted to engage one another with a spirit of openness, learning, and relationship building.” LESS harmful ways? The discrepancy between the painful baring of souls and suffering of LGBTQ folks that was expressed at the meeting and the meaningless propaganda that is this letter is an insult, and simply continues the harm. Stay tuned for further communications about the substance of these meetings. The next meeting has already been scheduled for early September. NOT. ONE. 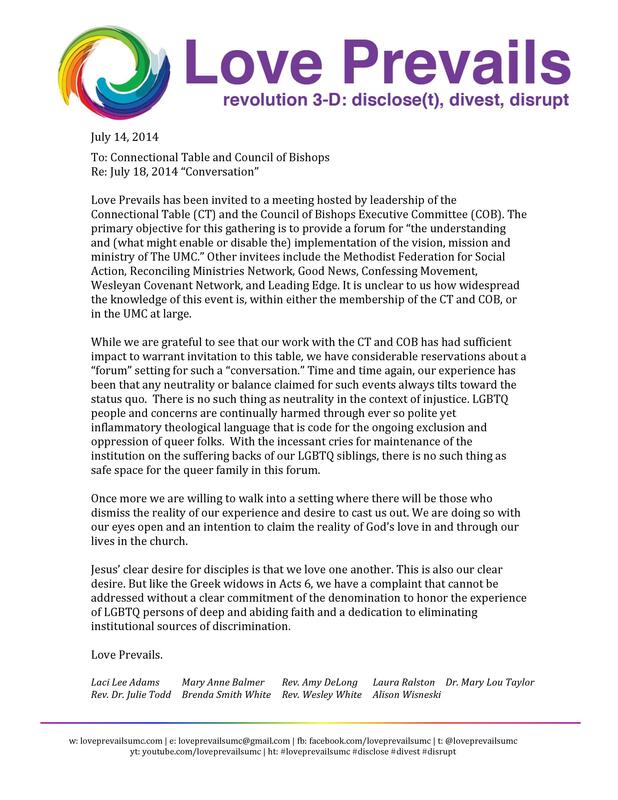 Not one person representing moderate or conservative perspectives on the inclusion and exclusion of LGBTQ persons in the UMC chose to attend the meeting in Chicago to which we were all invited today. Here are our reflections after the meeting. 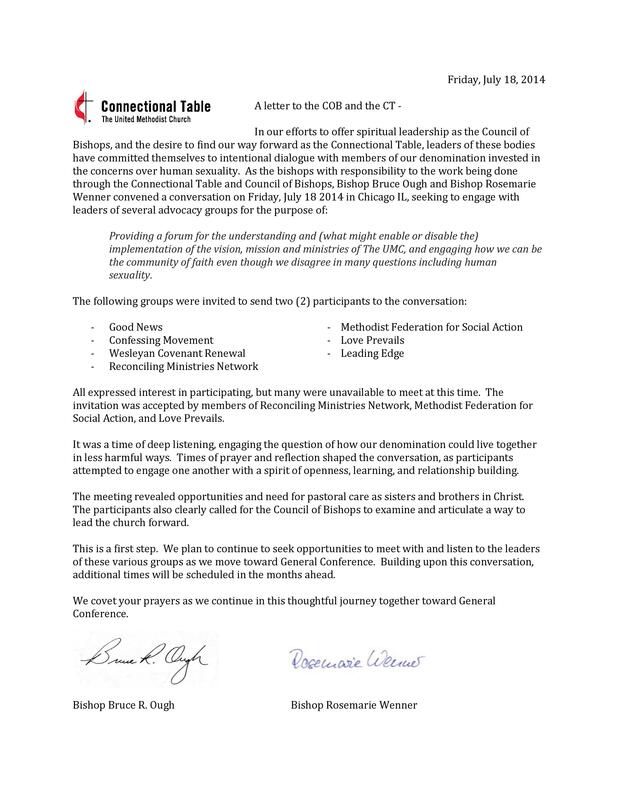 This coming Friday, July 18th, there will be a meeting in Chicago called by the Connectional Table and the Council of Bishops Executive Meeting. See our letter about it below.